Excellent service and wonderful time getting my store room. Bathroom was immaculate. Thank you so much for everything. I am really happy that I rented with Lockaway Storage Babcock. I'm really happy with the customer service, taking care of me and helping. Tammye was absolutely wonderful in assisting me with my first experience with storage-contact this location if it is suitable to your needs of location and experience. Lockaway Storage Babcock is a great location with awesome staff-Ashley is great. Tammy is very sweet and willing to work with others. Repeat customer!! And I have referred. Location is perfect. Truck is convenient. Tammye is the best! Tammye made things very quick and easy. I was able to get in and out with some time left to eat lunch! Everything was very clean and Tammye made sure to go over everything I needed know about fees and policies. Tammye really seems to care about the tenants and her facility. Excellent service, well maintained units and friendly staff. 10/10 ! Will be recommending to all my friends!! Tammye is Awesome. Will always use this location for storage needs. A very friendly staff and a really good candy selection. highly recmend spescially on Custermer Service. Outstanding (novation hands Down!) Thank you!!!! Extremely friendly, quick, convenient and exactly what I needed!!!!! This is a great location and I had great customer service! Friendliest, most informative office staff I have EVER had the pleasure of dealing with. Wish they ran properties for apartment rentals!! Love these Girls/Ladies, Ashley and Tammye, ya'll are Awesome! Tammye has been great. Enjoyed working with her. She's very helpful. Thank you. Lockaway Storage is a great place and we received nice service. Tammye was super helpful and informative. What a great experience! Tammye, the manager, was awesome. Quick and very accommodating to my needs. Here for 4 years and very happy with customer service! Super helpful and friendly. Staff was very nice and helpful. I would recommend this place to everyone. Excellent service every time. Helpful staff and clean facility. Quick and friendly customer service, clean facility and good prices. Wow! Such incredible service and convenience. I'm so impressed and thankful! Ms. Tammye does a great job with service and helping subjecting helpful details. Great job. Tammye was a great lady to us and took care of us! Very friendly service staff and willing to work with customers to make best experience possible. We received wonderful service and with personal attention. Thank you! Everyone and everything was very clean and very welcoming. Love it here. Excellent care and service, Tammye Bridgeman & Ashley, well known fact! God bless you all! This storage has always helped me in the times I've needed it most. I know it sounds cheese-y, but they are way more than just a storage unit. Staff here is very friendly and easy going. Great service and extremely clean. Very friendly,comfortable place. Very convenient and feel our stuff is very secure!! My overall experience at lock-away storage has been great. The staff are very friendly . They have excellent customer service skills. They greet all their customers with a smile. Thank you! These ladies were more than helpful. Wonderful service. Greatly appreciated. Excellent customer service from the MOMENT I walked in & EVEN invited my puppy to come in from the truck!! Tammye treated me with sincerity & was just REAL with me! Wonderful explanation of billing, codes, regs.,& process! Feels honest like I've made a new friend!!! Tammye is amazing, this is the 2nd time I had to use this facility and I love this place. Tammye is the best, she was very helpful and more than accommodating. Very friendly! Great customer service and awesome prices! Highly recommended! Tammye was the friendliest staff at a storage facility I have ever had! Excellent customer service! Thank you so much! Tammye is flexible with excellent customer service qualities. Thank you! Very friendly and helpful! I would recommend to anyone. Manager was so friendly and helpful. My paperwork was quick and easy. Great customer service. We had some family issues and Tammye handled our account with superb customer service at a fashionable time. Thank you. Office staff was very polite, professional and easy to understand. She provided excellent customer service. Have rented 10 years. Super, excellent management/knowledgeable-super clean grounds and always helpful with rental truck, spaces, etc. Don't live at this location area, but continue to rent 2 spaces! Tammye is a real customer service employee. Worked with me on a very complicated move-in! And was pleasant the whole time! Lockaway Storage provided a storage unit right away, that was spacious and clean. When I moved out, everything was just like I left it. My husband and I had a great experience! The storage space was spacious and customer service was excellent! Was an easy and great experience. Tammye made me feel very welcome and at home. Will recommend to my family & friends. Tammye thank you so much. This storage facility has really been awesome. Great location and having other resources of moving companies is totally awesome.You're different than any other storage facility. You're very kind and considerate. Thanks a bunch. Great service! Thanks so much for working with me and being flexible to my schedule. Great location and security! I loved Lockaway Storage! I will definitely be a returning customer, if needed. No one compares to them. Keep up the good work! Everything was great. Tammye, the front desk, was very helpful and nice and helped make my move easy. Second time back! Thank you. Great customer service from Tammye! I am a returning customer and I'm happy to be back. I rented a 10 x 10 unit online but needed a larger unit. Tammye was able to upgrade me at an affordable rate and with no hassle! She showed me the unit first and was a very nice lady. Thanks! Tammye is great, a super person and very helpful and professional. Property Manager is very welcoming and reassuring that my valuables and personal safety will be in good hands! Tammye went out of her way to rent me a unit. Thanks for getting me out of a jam! Very clean and well kept. The customer service was awesome. I'd definitely come back. Awesome service. Very nice and professional. Was very busy, but was super helpful and on point. I had a wonderful time. It was clean and wonderful customer service. So nice. Thank you! Can't sign in online??? Trying for first time im coming down there, Tomorrow Tammy!! Lovely customer service. Excellent deals with a smile. Will use in the future. Tammye is very nice and showed me the unit that I wanted. In no time I was a renter with good contacts for movers. Thank you. Tammye was really helpful in finding me the right size storage unit and in setting me up with a rental of their onsite moving truck. Renting the unit was quick and easy and the pricing was extremely fair. I definitely would recommend and use them again. The management, facility, and customer service were excellent. Tammye was very nice and wonderful. Our storage unit was clean and they were helpful with recommending movers. Excellent staff!...works with us like family. Great prices. Very convenient. Did I mention the staff is excellent? Benjamin provided me with "life saving" service. I encountered a dead battery and he volunteered to help me push start my '53 Chevy Truck. He's a great representation of your company. Great and friendly personal service. I train for a living and your service is top notch!!!! I received great service and had great explanation of service! Thank you so much for the convenience of your storage location. I loved it and wish that I could stay. Tammye was great to deal with and looked forward to talking with her every time I made my monthly payment. This was an awesome experience. Great unit, very secure, easy to get to and Tammye is always available and helpful to customers! Had a great experience with Johnny Gibson. Very courteous and knowledgeable representative. Super friendly and nice. Very accommodating. I feel safe keeping my life here. Super service & really great support when changes are needing to be made. Friendly, courtesy, excellent customer service, extra helpful in answering all my questions. I would recommend family & friends. Thank you. Am a repeat customer, all was safe and would recommend this storage highly. Great service. Worked with me on price. Thanks again. Great service! Very good manager and very helpful and clean. Thank you! Very helpful, nice, efficient. She is trying to do her best for the clients. For sure in the future I have great Company to deal with. Tammye was fabulous. I was recommended by my family and saw great reviews. I am sure my stay will be awesome. Great service and very helpful. I would recommend this Company to friends and family. Great service at this storage facility. Staff was fast and professional. This is a very clean, well run facility. The manager lives on-site. Outstanding service! Tammye was very generous and helpful to my family and awesome customer service. Tammye has awesome customer skills & very knowledgeable about her manager skills. Excellent. She does more than a 5-star. Tammye has awesome customer service. Can take on higher position as very nice with customers. What an amazing moving experience, you truly have the right professional at the helm! Professionalism, support and kindness is what I needed and what I received, thank you Lockaway Storage. Service: Awesome Facility: Outstanding Personal and friendly and extremely helpful. Highly recommend this location. The management staff was excellent. The service was superior.The storage room was clean and easily accessible. Tammye Bridgeman was very helpful and pleasant. Would recommend. One of the cleanest facilities I have ever seen. Zero maintenance issues. On site managers very friendly and always available for questions/issues. I will recommend this location to everyone looking for a unit. Customer service outstanding, professional, courteous and the price was great! So glad we came in today. Great place. Very clean and very nice & helpful staff. Tammye was extremely helpful and professional. I will definitely bring a referral in since I was treated so well! I am a repeat renter and I truly appreciate the service that I have received. I would encourage all of my friends to rent from Lockaway. Great service and friendly atmosphere. Extremely helpful. Awesome place! 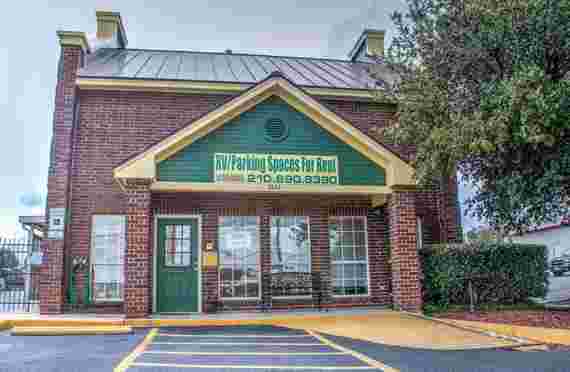 I have rented here twice and had awesome satisfaction. Thank you! Tammye and staff do a great job. The facility is always clean and well maintained, staff is professional, courteous, helpful and always friendly. Easy to rate this Lockaway location and staff 5 star. Wonderful & courteous. Very helpful. Tammye showed us great service and friendly person to deal with - great place to be! We experienced exceptional service during our move! We highly recommend Lockaway Storage to everyone! 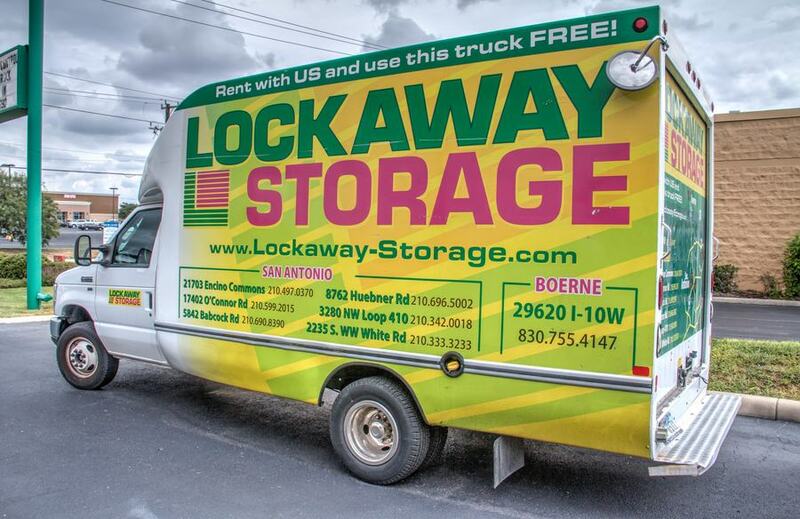 Michele Lopez is a very informative, hard working, courteous and a very professional individual, that made my experience a delight at Lockaway Storage. Wow! Tammye is fantastic.I'm so pleased with everything.Thank you!!! Tammye is awesome. She's always friendly and helpful. Excellent service - I think Tammye is awesome! Wonderful management. Great clean storage rooms. Used for about 8 years and very happy. I've enjoyed the same 10X10 climate-controlled unit since 1997. No problems of any kind... vermin, burglary. I was even called once, "We noticed you didn't really lock your unit, it just looks like it." Nice catch! Two floods, Oct '99 & May '13... no water entered the C-C hallways. The property is built on a gradual slope which turns out to be a good thing... heavy rain drains out the lower end... doesn't stand around! I now live on the other side of town... but my stuff is happy where it is. Tammye & Brittany were wonderful! Great & friendly service. Used this facility for storage before and was so impressed, I came back. Lockaway Storage have been very helpful. Tammye and Brittany have been very courteous and took the time to help us make the right decision. Keep up the great work! Great place to have our things. I was very happy. Very friendly. Tammye is awesome!! Very friendly, great personality. Property well kept. Definitely happy customer! Tammye, the most courteous and helpful person I've dealt with in ages. Helped my daughter through the rental process. Very personable. Staff friendliness and customer service was exceptional. Thank you!! Tammye was not only well-versed, but courteous and most accommodating. She delivered a service experience, nothing less than stellar!! Staff is amazing. They go above and beyond anything expected. Professional and very amazing people. As always, Lockaway Storage has excellent service! Not only was the facility accommodating, Tammye went above and beyond to make sure my family was situated. Very good experience. Simple set-up for a first-time unit tenant. Awesome! Top notch customer service and also very accommodating. I love this place. Tammye & Brittany were great people and very helpful. Great Job! Friendly staff. Always helpful. Most attentive staff I have ever experienced! Definitely will recommend to everyone! Tammye was great. Very professional and extremely helpful. Thanks Lockaway. Couldn't be nicer, Tammye and Ashley couldn't have been more helpful & friendly. Will Highly recommend to friends. Tammye was awesome, she made the process simple and fast! I recommend this storage to anyone needing the Service. Promotion priced made it perfect! Great Company! Good value. Great customer service. Secure grounds. I Deryl Provo really appreciate the visit and the care from Tammye and Ashley, a experience like this one makes a difference in the community. Tammye is so incredibly helpful and friendly. I'm so grateful for her help! I love my storage unit. Very clean, easy access and convenient. I am a returning customer and have also recommended to friends. Great customer service. Awesome storage! I am a repeat customer, this storage facility is one of the best, if not the best in San Antonio. Management is not only professional, she is a beautiful person inside and out and makes you instantly feel welcomed. Thank you for such great service. Great staff!! Miss Tammye and staff are the best. 5***** stars!!! OMG! These ladies are sooo nice, and friendly that we feel right away like in a family! Very friendly staff, reasonable price. Great Prices and awesome customer service. Ashley is soooo very helpful and informative. I appreciate all the information she helped me with. She is a great asset to your company. Staff is Awesome & super friendly. This place is the best! She was very friendly and helpful.Compassionate to my needs and ready to bring me and my sisters in as soon as possible and meet us halfway. Great Place. Enjoyed the place for 2 years now. I have not had any problems. I have moved to a RV slot and I enjoy it. I have told my friends about this place also. Tammye is a great manager. Tammye is phenomenal. Couldn't ask for better customer service and or genuineness. Staff very friendly. Took care of me right away. Excellent customer service. Great customer service. Amazing attitude that always makes me feel welcome and happy to come in. Will definitely come back for future visit. Always will recommend for future customers. Highly recommend this location. Always helpful and will always come here in the future. Recommended by sister and I also will return. Tammye Bridgeman was very helpful and did everything fast to help me and very good business like attitude and very friendly lady. I give her a A+ on customer service and very helpful. My experience is very good from the Lockaway Storage associate. Very clean and very helpful, thus I'd recommend for anyone who needs storage, to get from this Company. Tammye is an absolute angel! She worked with me on everything from finding the right size shed to the truck rental. She alleviated the huge amount of stress from a last minute, nightmare situation. I would recommend this facility to anyone needing storage needs. 5 Stars all the way!!! Very courteous service. Tammye did well to explain all the details. Very knowledgeable. Great service & experience. Everything went smoothly and the staff was great. Tammye was great and was really friendly and nice. Great place to rent a space from! Tammye is super helpful and knowledgeable, very easy to work with. Thank you! Excellent and timely service from the office staff. We had a new storage space in under an hour and for a great price! Highly recommended! Tammye has helped me previously and I knew automatically where to go when I needed a storage again. I will always be grateful for how accommodating Tammye is and just the excellent service she offers. Tammye is an amazing person and it shows through with her wonderful customer service. Great prices and amazing units. This is my go-to storage place and always will be. Tammye was very friendly and helpful. I appreciate the answers to all of my questions. It was easy to set up and has a very friendly and knowledgeable staff! I highly recommend! She did Awesome Job, wonderful Experience, and Really simple with the whole process. Tammye was excellent. She had me in and out quickly, and the price was much lower than expected. 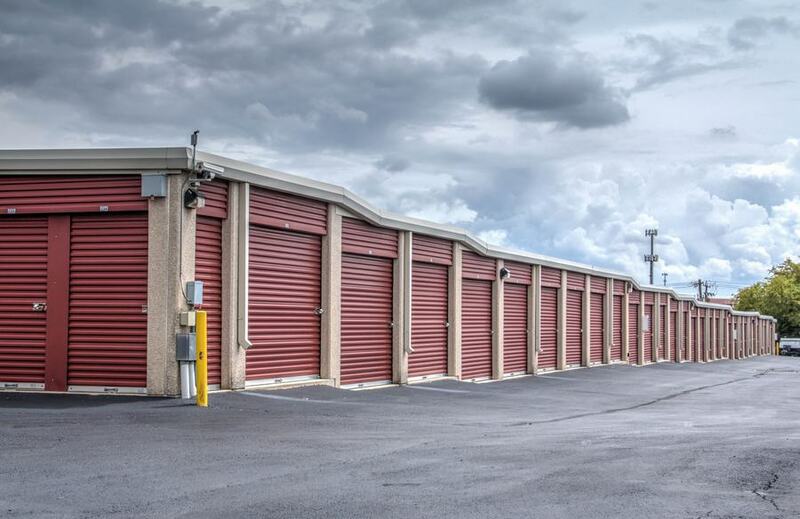 She was very pleasant and the storage facilities exceeded my expectations of quality and cleanliness. I will be referring this location for sure!! Wonderful service! I feel like I have a friend in the storage business. Thanks, Tammye! Excellent and friendly service. Tammye was helpful and friendly. This is a great place Tammy and her staff are wonderful always helpful and willing to help you in anyway! Units are always cleaned and they are well kept. Had just what we needed and very helpful. Thank you. Great place! I tell everyone about this location. Tammye is great. The staff is always courteous and they are very helpful. Ms. Bridgeman(Tammye) always services with a smile and 'cheery hello, how are you'! I've been a customer here since 2006, and by far, Tammye is the BEST!!! She never rushes me; the office always neat & clean (inside & on property). SHE'S A KEEPER! i wrote a review 3 years ago mentioning i've had my stuff stored here since 1997. it's now been 20 years! not in the same unit. i began with a 5X5 CC until that became impossible. a couple years later i moved to a 10X10 CC. my same stuff has had the same address much longer than i have, LOL. (i'm now in Colorado) for long-term storage of paper products... photos... only CC. it gets hot in SA! also less chance of vermin. rats WILL find crumbs in a couch so don't wonder why your unit & not your neighbor's. 1 more thing. thanks a million, Tammye!!! I had a great experience from the time I called till I walked out with my new rental. Ashley is a wonderful customer service Rep and very helpful with professionalism. Steven, was great help in assisting me. Glad to see someone that takes pride in their work. I will definitely refer friends and family. Ashley and Tammy we're great! Very helpful and friendly service. I'm in the service industry myself so I know what it takes to be successful. Keep up the good work. Thanks again. The storage was very clean and well maintained before move-in. I've had storage units that I needed to sweep and clean before moving in my belongings and here that was not necessary. Tammy is an absolute sweetheart and will answer any questions you may have. She will apply any available discount to your account without even asking and she is very helpful. I highly recommend this storage facility. Everything about this place is great from Tammye in the office to the clean property!! Tammy was extremely nice and helpful. She answered all of our questions and took the time to explain everything clearly for us. Definitely recommend! Great space, friendly staff, good prices and they allow bands! Just leased a spot for my business RV here and was impressed by the cleanliness of the grounds. The manager was friendly and efficient in taking care of the paperwork. There were no sketchy people loitering in the vicinity of the property and the security gates were operative. The manager Tammy is wonderful! We walked in at 6pm when they were closing and she walked us through the units and was very patient, answering all of our questions in a very concise and friendly manner. She informed us of a free rental truck for moving purposes and I was hooked. They even give a 50 dollar credit for referrals. At 95% capacity they are doing something right and Tammy is proof. Thanks LockAway! Tammy is a joy to work with. She's straight to the point in the best way, makes sure you are covered and getting the most reasonable deal possible. Facility is well maintained, accommodating for any storage needs, and is located in a safe area. 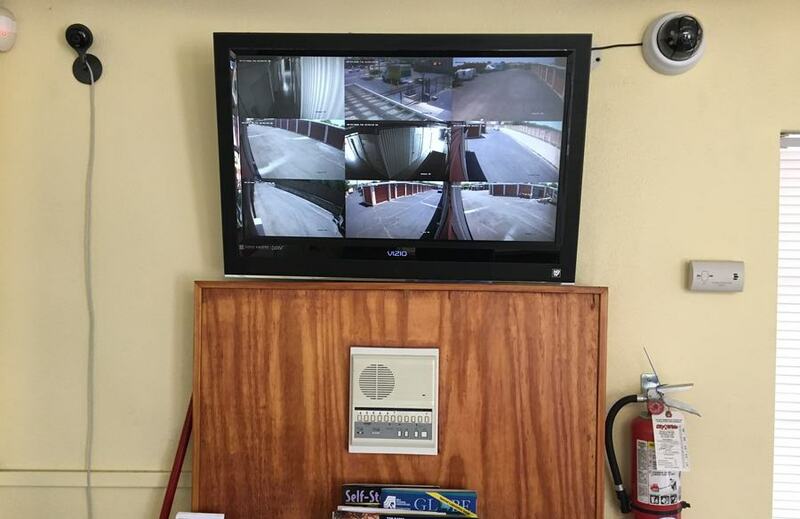 Facility is monitored 24/7 with security cameras as well as a gate that needs a code for both ways out. A well kept moving van is available for use so that can save money on a U-Haul, as well as make it convenient for you. I definitely recommend storing your boat, RV, toys, vehicles, as well as anything you own at this establishment. Very lovely and fast move in process! Very organized. Loved the HALF-OFF deal!! I went to a handful of facilities looking for the best price and didn't find anything better then Lockaway Storage on Babcock. They go the extra mile by offering a free moving truck rental on your initial move in. Tammy the manager is an absolute joy and very helpful. We are a missionary organization that has stored equipment at Lockaway Storage on Babcock for over 10 years. We have always needed a climate controlled space and more recently a parking space for our trailer. Aside from the location and convenience of the storage facility what we appreciate most is the friendliness of the staff and the extra things they do to serve us. The facility is always clean and the heavy cart we need is always available. Once when a member of our organization accidentally left the unit door wide open (exposing very valuable equipment and supplies) the manager Tammy found the mistake later and took it upon herself to lock the unit and call us right away. It was our mistake and our responsibility, but she was watching out for us. 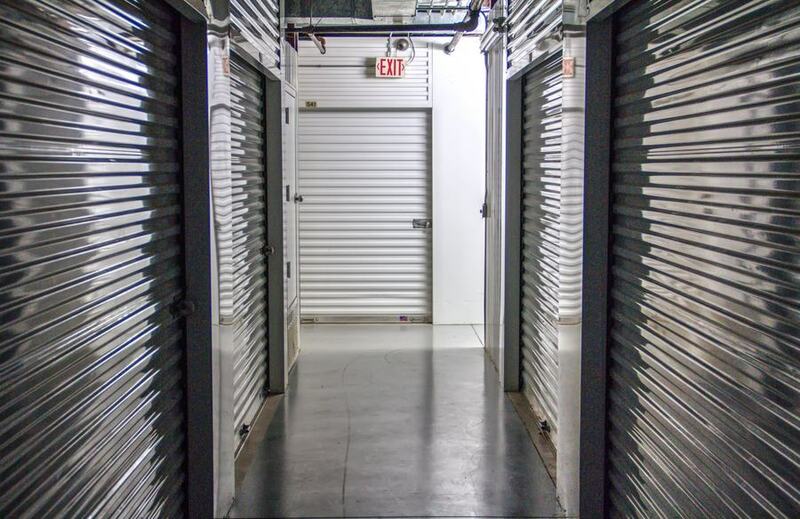 There are lots of other storage facilities around, but Lockaway has always done the extra things that make us want to stay. Great costumer service and great prices I will recommend this place to everybody! Very friendly staff, clean facilities and very secure. Absolutely recommend this storage units. Tammy was very helpful and patient when I changed my mind on size space I needed. tammye made it the easiest move I've ever done and awesome rates....stellar service! Tammye has been so helpful. I can't believe the customer service that was provided. Not only did she go above and beyond, she did it with the highest form of respect and care. I will definitely go back and refer anyone and everyone. If I could give 10 stars I would. Great staff great service! Tammy @ babcock location is amazing, very nice, very helpful, makes everyone feel like family! Convenient location, clean, and well managed. Staff is very friendly. Every time I've needed a storage space, they have helped me. They are easy to get ahold of and willing to help with anything. Clean and safe facilities. Thanks so much for making our move easier, Tammye! Tammye is very friendly, professional, and communicated to me clearly what I needed to rent out my unit. The service was really quick and the facilities are clean and well kept. Great experience!! Will definitely recommend! We started out with storage and then we have parked our RV at this facility for the last several years and it has been an awesome experience. Tammye is wonderful, best customer service and this is the cleanest storage facility we've used. Highly recommended. I just recently closed my unit after just over a year of having it. Never had any problems with the unit, or issues with the manager. Very clean and well worth the price. If i need another unit and the managment is the same I will resign here without question! Very courteous and efficient, with great rates and service. Recommend highly. Tammye is amazing, her customer service is top notch. Very clean facility and great prices!! Would highly recommend to everyone! Its clean and the staff are professional and helpful. Always a sweet the phone when you have questions and willing to answer them for you. I dont like the runaway you get at other places. I came to get some prices and left taking a 10 by 20 space. Lockaway stoage on Babcock has a great staff and manager Tammy is great. Her energy and positive vibes r lead me to renting a space here. I would definitely recommend this stoage facilty to friends and family. This place is great. I needed a second unit and Ashley took care of me. As always super professional and cordial. On a stressful day Tammy the manager of seven years was the loan bright spot. Aside from the clean great smelling office that offers gourmet coffee singles, a basket of chocolates,cold soda or water all complimentary we were greeted by a warm smile and the most sincere pleasant attitude you could ask for. She took us to look at the storage to make sure it was big enough we agreed that it was and she had us on our way in no time. Later we returned to inform her that we had drastically underestimated the size unit we would need. Instead of making us feel like a burden she apologized for OUR mistake got us another 10x10 unit to save us money waved additional cost. Seriously for anyone in the workforce our common goal should be 100% guest satisfaction. A nearly impossible task. Tammy crushed it. Shes awesome at her job. I will go out of my way to rent a unit from her. ( oh yeah.. lowest rates in the area). I can get a unit anywhere finding people that truly care about thier tenants is priceless. Thanks Tammy. I was so stressed about moving and finding a storage unit that was safe and affordable. Tammy was so kind and helpful! She gave me a great deal on a climate controlled unit that is the perfect size and location. She really helped me relax and I am confident that my possessions will remain safe. I highly recommend using this company!! Thanks so much Tammy!! Tammye is so amazing! I was greeted with a big warm and welcoming smile. She knows her job very well. She was so helpful in answering any questions that I had. I did not feel rushed at all. 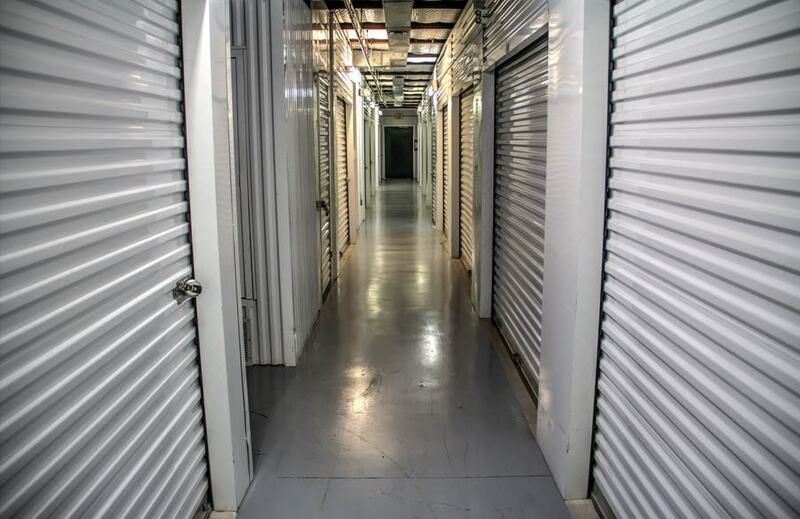 If you need a storage unit, LOCKAWAY Storage is where you should come! They beat all the other competitors in town with their unbelievable and unbeatable prices. They even have a rental truck that you can rent! I am overjoyed with the excellent customer service that I have received from this Company. I highly recommend that if anyone need a place to store their belongings that this is where you should come. I'm really surprised to see all these five stars here. This place does not care about its renters. I had friends that stored here for well over 10 years, you would think the owner would cover damage caused by mice and or rats and they do not. The rodents totally destroyed my friends furniture. On top of it, the door would was hard to open and would not stay fully opened and it was never fixed. The trash was always full. I will never recommend this place. Been renting here for a few years now. No matter how minor any issue that may occur I can always count on the manager Tammy to take care or it. If you are living in the Northwestern San Antonio or Medical Center areas and need a great storage facility, Lockaway Storage Babcock is the perfect place for you. The facility is located in between Bandera Road (16 Highway) and Interstate 10. We are just 13 miles northwest of Downtown San Antonio, and easily accessible by Interstate 10 by Huebner Road or by Interstate 410 by Babcock Road. Lockaway Storage Babcock offers not only a convenient location but also many available storage options. This makes it an excellent choice for both residents and businesses. Military and student renters love our facility as well. 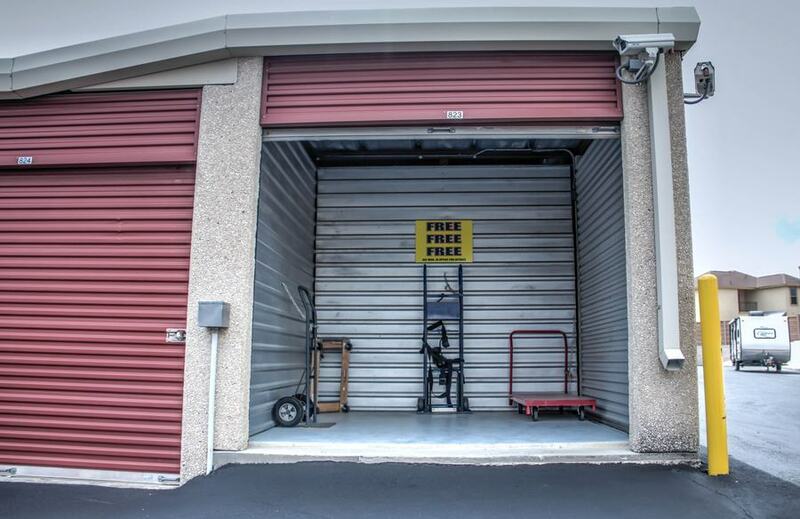 Premium amenities are available at Lockaway Storage Babcock such as climate-controlled units, a free move-in truck, and delivery acceptance. Learn more information on all Lockaway Storage Babcock’s premium services and how they are perfect for you by reading about us below! Lockaway Storage Babcock is located at 5842 Babcock Rd, San Antonio, TX 78240, near the intersection of Babcock Road and Huebner Road, just northwest of University Hospital off Interstate 10 or 410. Lockaway Storage Babcock is a great option for our busier clients who can easily pop in from either highway. Within the Medical Center Area of San Antonio can be found many hospitals and medical facilities. University Hospital, Kindred Hospital San Antonio, and CHRISTUS Santa Rosa are all less than a ten minute drive from us. This makes Lockaway Storage Babcock a great spot for members of the medical community to store their belongings and with 6:00 a.m. to 10:00 p.m. gate hours we cater to be accessible for those working longer hours. Are you feeling hungry? We understand storing and moving can make you work up an appetite. The facility is less than a mile from over ten restaurants like: Yaghi’s New York Pizzeria, Regent Hunan Chinese Restaurant, and Dallah Mediterranean Cuisine. Being located so close to the highway allows access for a renter who wants to stop in and get their vehicles before leaving for a trip out to places like Medina Lake or Paradise Canyon. By storing with us, you won’t waste time driving across the city to pick up your vehicles which gives you more time to relax and have fun. Many San Antonio residents are serving in the Military, and for those living in the Northwest, Balcones Heights, or Leon Valley areas our facility offers an ideal place to store your belongings. Many of our clients are part of the Joint Base San Antonio, which is made up of Randolph Air Force Base, Fort Sam Houston, and Lackland Air Force base, and Lockaway Storage offers all military members peace of mind with their belongings while they are gone from their home base. You will feel at ease about your unit being safe and secure when you rent with us as the property has 24-hour security surveillance. 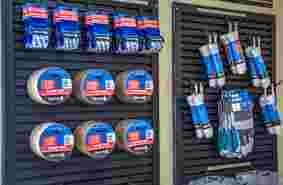 If you are need to pack up and move quickly, Lockaway Storage Babcock has tools to help you. We have moving supplies for sale and a free move-in truck for anyone who may need them. As a thank you for the service of the brave men and women in the Military, all Lockaway Storage facilities offer a 10% discount for all active and reserve members of the United States Armed Forces. Make sure to mention this discount when you speak with your facility manager. Some restrictions may apply. Speak with a manager for details. Take a tour with us today and we will show you how choosing Lockaway Storage Babcock will benefit your lifestyle in many ways. If you are going home for the summer and can’t move everything with you, Lockaway Storage Babcock can solve your problems. Being a student is hard enough, and we want things to be easier on you to promote educational success. If you are juggling classes, managing a new or old living situation, or just have too much furniture, we can find a unit that works for you no matter how big or small you need it. Not having to sell or leave any items behind will save you and your parents money in the long run. Storing with us is the responsible and safe option and allows students the opportunity to focus on learning instead of stressing about the little things. Lockaway Storage Babcock is very close to Galen College of Nursing and Baptist School of Health Professions. With our easy highway access we are also a great option for students attending San Antonio College, Southwestern Baptist Theological Seminary, and Trinity University. Our storage professionals can help you today find a unit that matches your exact needs and preferences. Texas is a great place for those who enjoy the great outdoors. 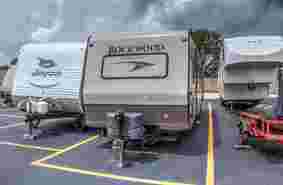 The weather is perfect almost all year round and that means more people using RVs, campers, and boats. Lockaway Storage Babcock can help you store these large items along with dune buggies, jet-skis and ATVs. Units go all the way up to 10’ x 30’ for your larger vehicles and we also offer port style RV, boat, and camper parking. Don’t delay your fun in the sun! With our location being close to many highways, we are the best place for a quick stop to pick up anything you are storing with us! We can help you retain the value of your vehicles by guarding them from the elements when they aren’t in use. Come down today and take a look for yourself. We will show you what we can do for you. Lockaway Storage Babcock has a wide variety of amenities for all your storage needs. Units range from 5’ X 5’ all the way to 10’ X 30’ and we have spaces for all budgets. 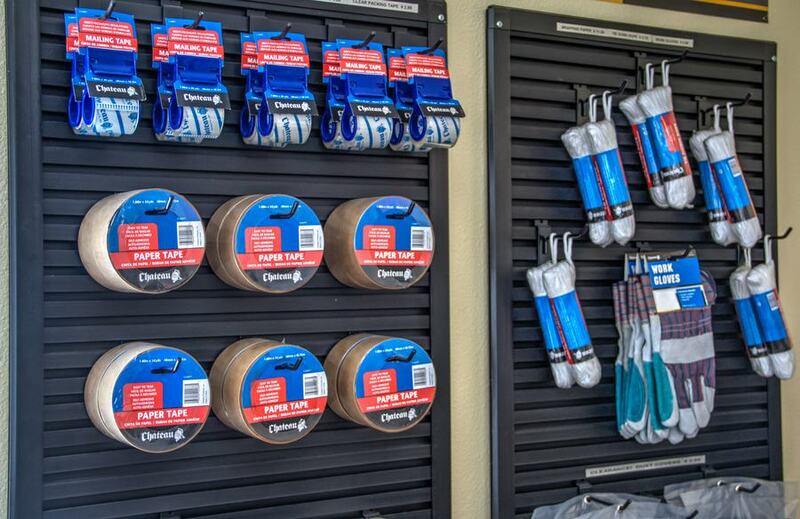 Our staff will be able to find you the perfect fit. With us you will have free use of moving equipment available onsite for our customers. There is a facility moving truck equipped with a ramp to use for new move-ins. Our drive up units offer easy access for people storing larger goods that they may need to load or unload from their car. Worried about high temperatures? The interior climate-controlled units protect anything that could be damaged by the heat. You will be able to access the facility 6:00 a.m. to 10:00 p.m. daily and you can stop in the office 9:30 a.m. to 6:00 p.m. on Monday through Friday and 8:00 a.m. to 4:30 p.m. on Saturday. Lockaway Storage Babcock is a fenced and gated storage facility with 24-hour security cameras on the property, as well as a resident manager and regular facility sweeps. Additionally, each customer is given a unique access code, allowing the manager to see who enters and leaves the facility. We sell moving supplies and locks, and offer a protection plan for your belongings. Keeping your valuables where you put them is what we do. We offer an easy experience with online bill pay and an onsite retail center to purchase any moving or package supplies you may need. Our self storage team would be happy to give you a tour and answer any questions you may have. We can make your life easier whether you are a student, contractor, or in the military. When you come see us today, we can show you just how simple we can make your life by solving your storage problems! Announcing a Customer Appreciation Day on Thursday, April 27th! From 11:00am to 3:00pm, Lockaway Storage on Babcock Road is hosting local business partners and customers alike to show that we care! Local businesses that rent from Lockaway Storage will have stands and tents set up with merchandise, demonstrations, and discounts for other Lockaway Storage customers! While we will be hosting our event at Lockaway Storage on Babcock Road, customers from our De Zavala and Huebner Road locations are encouraged to come as well! Come and meet local small business owners that rent just down the lot from you. Head to our Facebook Page to follow updates as we finalize the local businesses that will be making an appearance! Update: We’ve confirmed several Lockaway Storage commercial clients that will be at the event tomorrow! Come by to see demonstrations, get discounts just for Lockaway Storage customers, and win raffle prizes! On Friday, April 28th, the Lockaway Storage team threw a bit of a celebration at our Babcock location to recognize and reward our valued customers. Team members from both the Huebner and De Zavala Lockaway Storage locations helped make it a great day. Renters, both commercial and private, set up and provided deals, demos, and signups for visitors. Inside the office, snacks and drinks were available for all visitors. Check out our pictures below, and make sure to swing by the next one! A roadside sign, tempting customers and interested people alike to stop by. LA Fitness offered deals for new sign-ups at the event. Getting set up for our event. More vendors setting up tables at our Customer Appreciation Event. Snacks were available for everyone in attendance. The sign on the window, coaxing people inside to eat. Donuts were available as well for visitors. One of our commercial clients who stores her mobile office at Lockaway Storage. One of our vendors provided pressure washing demos throughout the day. Self Storage Milestone: Happy 7-Year Anniversary to Tammye Bridgeman! Here at Lockaway Storage, we know our success is due to our wonderful team. The care they give our renters is unparalleled and we want to highlight their milestones along the way. Below is an interview with San Antonio, TX team member Tammye Bridgeman, who is celebrating her 7-year anniversary with Lockaway Storage. You can meet Tammye at Lockaway Storage on Babcock Road in San Antonio. Colby: So Tammye I see your anniversary is on the 30th this month. What year anniversary are you celebrating? Colby: Seven years. Congratulations to you! Have you always been at the Babcock location or have you traveled around a little? Tammye: Yeah, I have always been at Babcock. When I was hired I was an assistant manager between Huebner and Babcock. After my first 90 days, I become the manager at the Lockaway Babcock facility. Colby: So what was it about Lockaway that made you apply seven years ago? Was there something that stood out? Tammye: I just saw the opportunity and I had been in the storage industry in Houston. After a short break I decided to get back into the industry. I was interviewed by Tristina and the rest is history. Colby: There you go. So, what advice would you give to somebody who is moving to San Antonio for the first time? Any good spots to go or things to see? Tammye: The River Walk is an absolute must. The Blanco Cafe for their world famous cheese enchiladas. Besides the Blanco Cafe, my fave restaurant in SA is Dough, for pizza. Very well known place…kinda famous! We are also really well known for SeaWorld in San Antonio. The San Antonio Zoo is also great. There is a lot of history here and San Antonio never misses an opportunity to have a parade. Fiesta here is a really big deal, and of course we have the San Antonio Spurs. Colby: So what are your favorite hobbies when you aren’t at work? Tammye: Zumba is a dance cardio fitness class. I also love cooking and baking. Colby: Finally is there anyone you would like to give a shout out to in celebration of 7 years? Tammye: It has to be Tristina and Don Clauson. I am so grateful to them for allowing me to be a part of the team. They guide me and believe in me, and help me learn by my mistakes. It’s been a great experience being a part of Lockaway Storage. Easter is a great time to get together with friends, family, and even your self storage community! 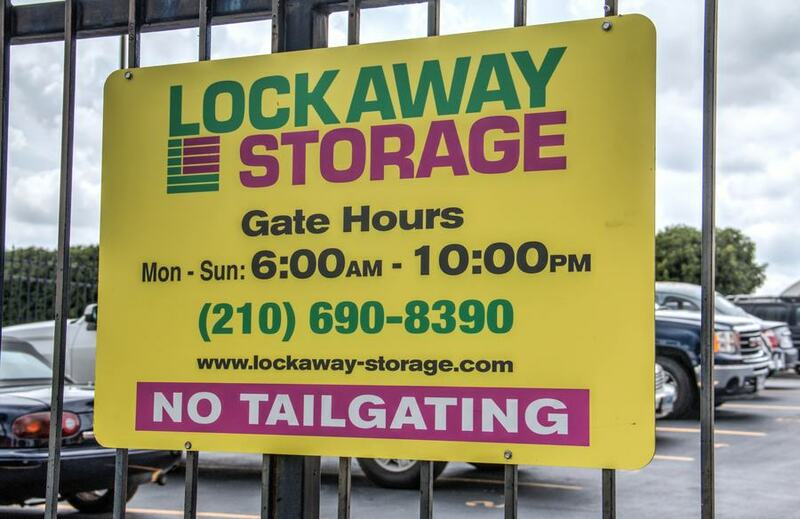 We always encourage our various locations to celebrate holidays and events and Lockaway Storage on Babcock Road in San Antonio, TX did just that! On March 30th and 31st, Lockaway Storage on Babcock Road celebrated Easter with goodie bags, referral cards, and a delicious spread of Easter candy and homemade coconut cupcakes! Tammye mentioned that she was the one who made the coconut cupcakes that went over very well. “A couple people came in and got a cupcake, and then when their family member tasted their cupcake, they came in to get one too!” she said. Tammye loves to bake and says that she wants to continue baking and having small customer appreciation events like this, “I’m thinking about doing this absolutely every month with baked goods,” she said. So keep an eye out for more upcoming events and tasty desserts by Tammye! Thanks for all of your passion and dedication to your tenants at Lockaway Storage!